So many brands have been releasing new foundations and concealers, and I must admit I have loved trying them out. 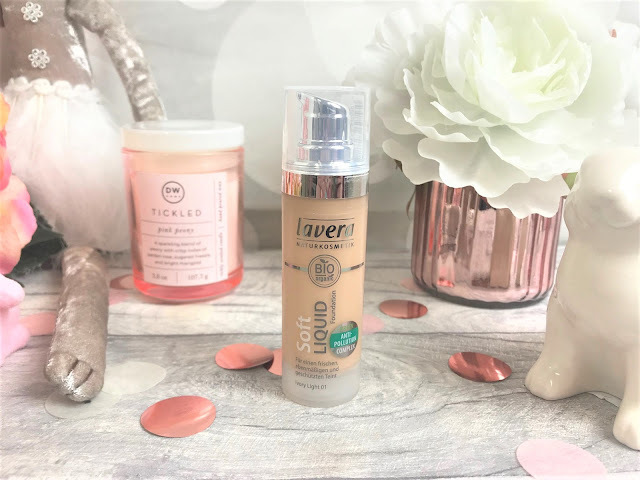 We are all always on the quest for that perfect foundation or concealer, and the latest foundation and concealer I have been trying are from beauty brand Lavera. Lavera have created a new natural and vegan complexion range, blurring the lines between makeup and skincare. 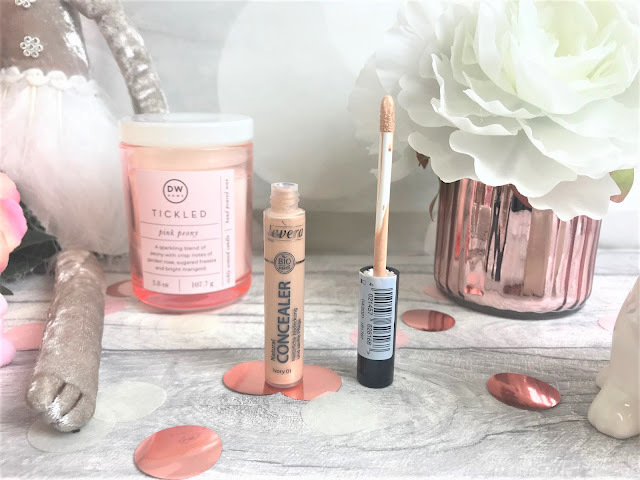 They have created formulas using their active skincare complexes and their foundation and colour correcting products to bring us makeup that also looks after the skin. I have been trying the Lavera Soft Liquid Foundation (£15.90 for 30ml) in the shade 01 Ivory Light as I have quite fair skin. The foundation comes in a plastic bottle with a pump applicator, which makes it super easy to release the product. It gives the skin a light to medium coverage and smells delicately of skincare when you are applying it. I used a Beauty Blender to apply the foundation, and I found that I needed one and a half pumps to completely cover my face and neck. The foundation has been formulated using Lavera's unique Green Anti-Pollution Complex, which contains natural anti-oxidants and organic algae to help protect the skin cells from pollution and counteract the signs of premature ageing. I noticed as soon as I applied the foundation, my skin felt fresh and more hydrated, which I love in a foundation as I hate it when you get a foundation which tends to dry your skin out throughout the day, but this kept my foundation in place and my skin nourished. When it comes to concealer, we have been told that it is better to use a lighter concealer than our foundation, but this only really applies to warmer and darker skin tones. For lighter skin, it is recommended you use a concealer that best matches the colour of your foundation, otherwise it can be harder to conceal dark circles. 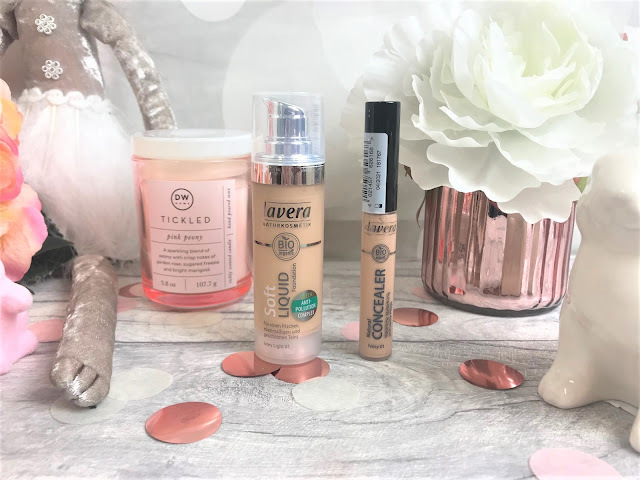 The Lavera Natural Concealer (£11.90 for 5.5ml) is the option I would recommend for darkness under the eyes, tiredness and any redness you may have. I suffer from redness on my cheek area due to the craziness of my hormones due to my severe endometriosis, and this covered that up really well. I have the shade Ivory 01 and this matched my foundation perfectly, and again, it felt fresh and soothing, which was great for under my eyes, especially in a morning when I feel tired. The formula contains organic liquorice root extract and organic shea butter which is going to keep your skin soothed and nourished throughout the day. You can find Lavera online here.